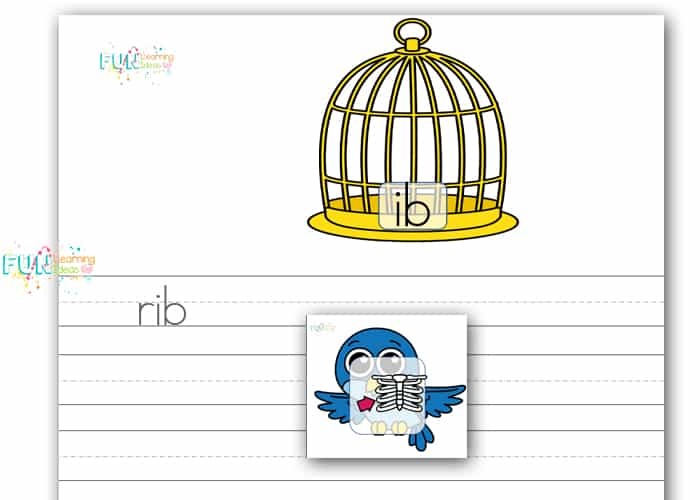 We are halfway through the short vowel words section of our teaching phonics series. Woot! If you are just stumbling across this series, then let’s play catch up real quick. 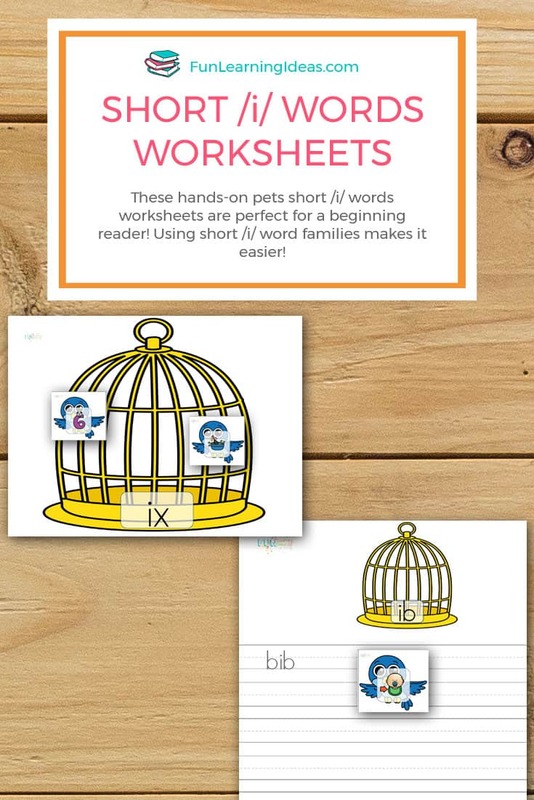 We have spoken about how and when it’s best to be teaching phonics, our favorite phonics apps and songs as well as a free short vowels chart. I have also shared a set of free letter sounds cards as well as farm short /a/ words worksheets and a set of ocean animals short /e/ words worksheets. Please note that affiliate links are used below to help you find everything that I mentioned. To create this activity for your kids, you need a few things first. The worksheets can be found at the end of the post. Simply click the box that says CLICK TO GET YOUR DOWNLOAD. Now that you have gathered everything you need follow the instructions below to get started. Print the pages on printing paper and then use a paper trimmer to cut out the cards. 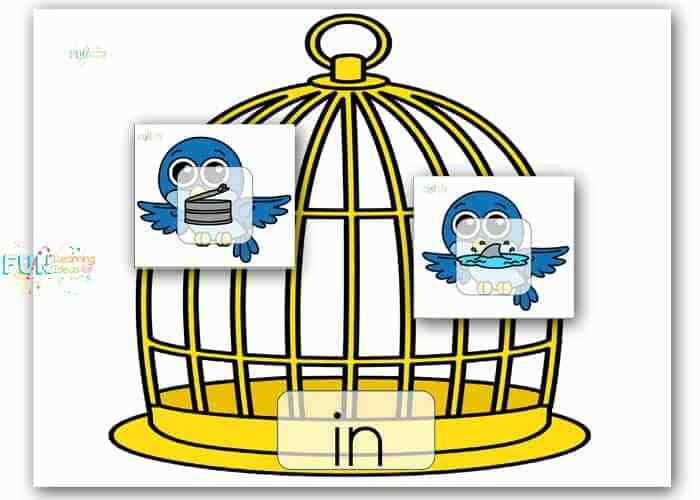 This version allows your child to sort the vowel sounds by looking at both the word and the picture. The word family endings are also in red to make it more obvious. write the word on that mat. If your child is not at the level to write, and that’s perfectly normal, then simply have them stamp the words with stamps. They can even use letter tiles to help. You can also allow your child to match the picture cards with the words. Simply use the spelling tiles, or write the short a words on post-its or strips of paper. Have them sound out the word and find the correct picture.